It’s hard to argue that Bungie is one of the most popular developers of this console generation, with each successive game in its blockbuster Halo franchise earning massive critical acclaim (and more than a few shekels, which sure doesn’t hurt). With such a generally sterling reputation, some fans might worry the developer would try to skate by on past successes with its newest game, Destiny, set to hit this year for multiple platforms. Not so, Bungie tells readers in its weekly Mail Sack feature. Bungie discussed other things about Destiny as well – including the fact that players will, indeed, have the option to play as a male or female character when they dive into the persistent shooter’s environment. 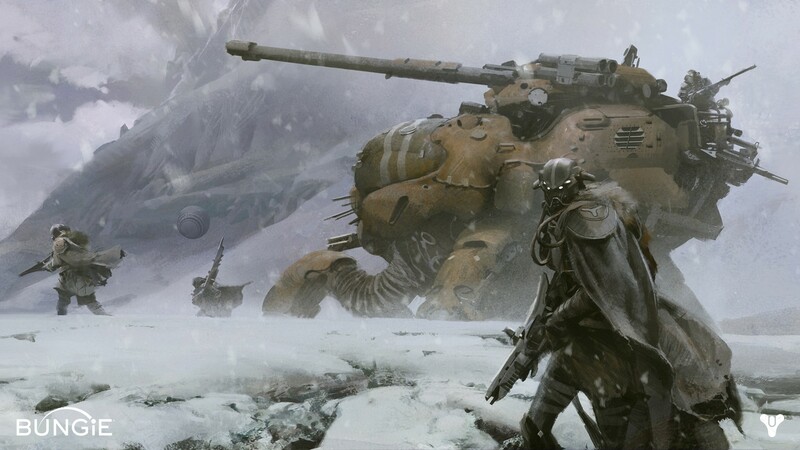 One fan questioned whether Destiny info will come at a more brisk pace after E3. Bungie noted that, at its core, the developer’s goal with multiplayer is the same as it was during the Halo era – they’ve always wanted players to have “a bunch of ways to extend and share their experiences,” and that priority “won’t change with Destiny.” In other words, players should expect to be able to use Destiny for the same kind of stat-tracking, communication and file sharing the Halo franchise has became so known for during the Xbox 360 era. Destiny, Bungie’s first game since 2010’s Halo: Reach, is an action role-playing first person shooter expected to launch by the end of the year. The game will be always-online, with a persistent universe not unlike MMORPGs like World of Warcraft. Bungie has said it wants the game’s universe to feel “alive,” and that events may occur in-game that even they do not anticipate or control. When the game ships, it’s expected to launch on most current and next-gen consoles. What do you think of Bungie’s comments? Let us know in the comments!